C+C=MAXIGROSS & MARTIN HAGFORS — COFFEE OR CIGARETTES – IS YOUR CLAM IN A JAM? C+C=Maxigross are one of the more interesting Italian bands out there at the moment, combining their Mountain Folk roots with vibrant streams of 70s West Coast Psych, which they’ve been bringing to crowds all over Europe for the last few years. 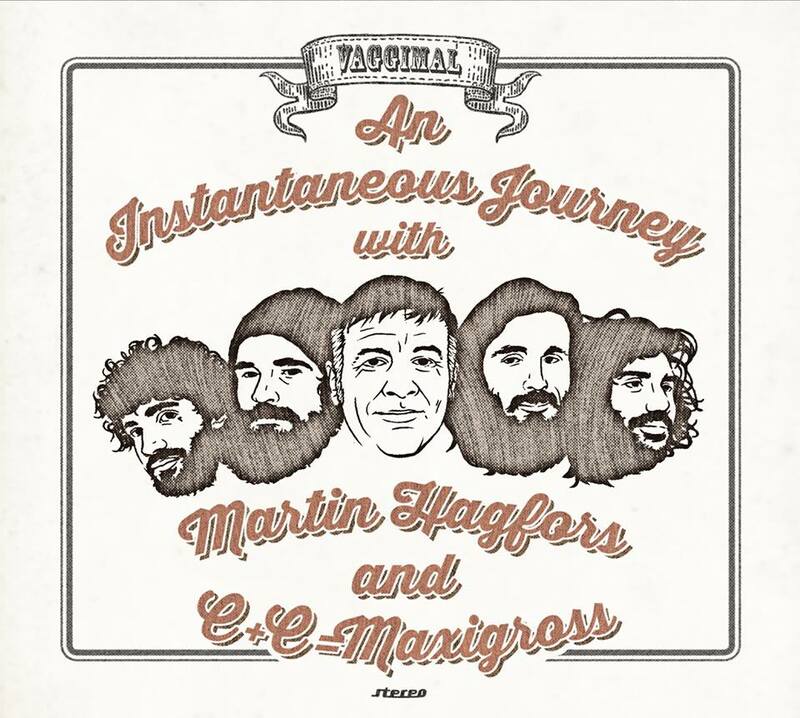 They’ve recently teamed up with American/Norwegian musician Martin Hagfors to record their latest EP, An Instantaneous Journey which was recorded in the mountains around Lessinia, C+C’s hometown. The setting combined wine, food, beautiful views and lots of music and contributed in creating a sound that wouldn’t feel out of place coming out of a time machine in a Log Cabin located deep in the Laurel Canyon in 1973. Coffee or Cigarettes is waking up in the morning with a black cloud hanging over your bed and inside your head. You look out the window where the sun is aimlessly trying to make it through the rainy horizon. You look at your bedside table where a pack of cigarettes lies, half crushed and half empty. You take one out and put it in your mouth but can’t find a way to light it. You walk to the kitchen to brew some coffee and try and pull you back into shape, as the water starts to boil you close your eyes one last time and find yourself in your other land, where the sun shines and the wind blows all your troubles away. The coffee machine beeps to bring you back to reality, you open your eyes and light that damn cigarette, thinking today’s another day and it’ll soon make way for tomorrow. Check out Coffee or Cigarettes below and go get An Instantaneous Journey HERE.